Directly opposite Westgate Mainline Station allows access to Leeds in under 15 minutes and London in less than two hours from this new landmark building. The beautifully designed workspace provides an abundance of natural light from the glass frontage, making for an extremely pleasant working environment. The centre of Wakefield offers many places to eat a drink, as well as hotels for any visitors you may have. 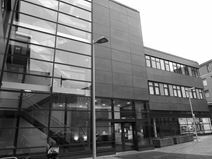 An experienced business centre offers a wide variety of high quality office accommodation in Wakefield. Fully serviced, available furnished or otherwise. Facilities provided include meeting/ conference room hire and complete reception support. The location offers a range of local amenities close at hand, including nearby supermarkets and retail parks. Wakefield city centre is within easy walking distance, while the M1 is only five minutes’ away by car. An extensive range of managed office, light industrial and workshop units close to the M1 motorway at Wakefield. An extremely wide choice of unit sizes available. There are good transport links, including both Wakefield Westgate and Wakefield Kirkgate Railway Stations just over a mile away. There are nearby amenities including a supermarket, a Starbucks, a post office, a bank, and garage and a public house. Modern office space in an attractive centre close to Wakefield city centre. Facilities include reception areas, kitchens, meeting/ conference rooms and high spec communication technology, along with ample parking. Conveniently located, close to the river, with excellent transport connections. High quality contemporary office space in a fully restored 19th century building, retaining many original features. Situated in the centre of Wakefield, with a gated private drive, and ample on-site parking. Wakefield town centre offers a complete range of local amenities, including a large number of eating and retail options. 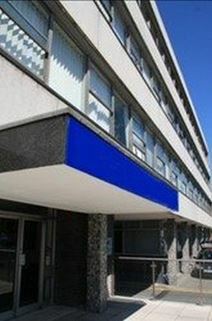 Situated in the prime fashion retail area of Wakefield, this business centre is next to the city's bus station. The office space is surrounded by restaurants, cafes and over 60 stores including Debenhams, River Island and JD Sports, as well as the well-known Costa Coffee. On-site, there are conference facilities, printing and copying facilities, reception services, a management team and 24-hour access. Recently refurbished this business centre is strategically located close to Wakefield Town Centre and provides a mix of flexible office space and workshops on either a furnished or unfurnished basis. Tenants have access to free on-site parking and meeting rooms. 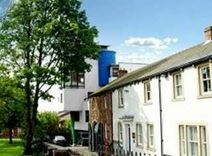 Two storeys and a basement of office accommodation located in Ossett, close to Wakefield. A variety of unit sizes offered. Ossett provides a selection of local amenities close at hand, along with excellent public transport links, with the new bus station a short walk away, and superb motorway connections via the nearby M1. 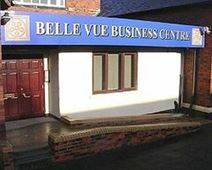 The offices are equipped with CCTV, superfast broadband, office cleaning, access to a kitchen and car parking. This is high quality modern office accommodation in a renovated, period building, on a secluded, leafy site. Although only minutes’ from Wakefield town centre, the site is surrounded by park and accessed by a private driveway. Fully equipped with high spec technology. Superb transport links: Wakefield Westgate train station is less than a mile away and both the M1 and M62 motorways are within easy reach. 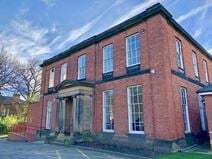 A grade II listed building in central Wakefield offers a range of high quality office suites. Extensive facilities available, including full reception services, telephony and broadband, IT and AV support, secure parking, virtual office packages and 24 hour secure access. A wide variety of local amenities are all close at hand, and there is easy access to both the M1 and M62. Both Wakefield Wetsgate and Wakefield Kirkgate Railway Stations are close to the centre.